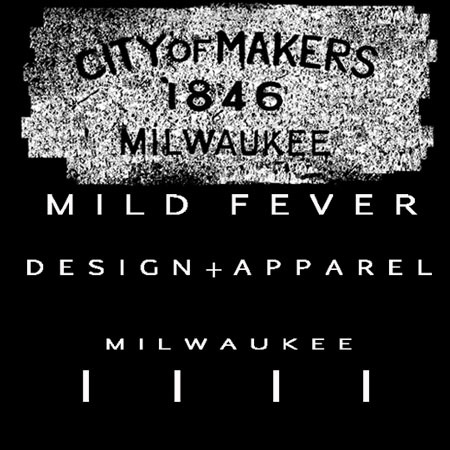 I was listening to Radio Milwaukee Tuesday morning and heard native MKE band Codebreaker getting spin. Might not be the first splash they made on the radio waves, but it’s the first I heard leading in with band name announced before the song. True to Milwaukee form, I first heard about Codebreaker in winter of 2008 while in Chicago, from Chicagoan Leah Pietrusiak a free-lance journalist with a knack for sniffing out new cool stuff. When asked, I couldn’t put a finger on the sound. It wasn’t getting air time locally. Radio Milwaukee was too busy still heavily rotating the Phoenix song 1901. Codebreaker had a set that I missed later that summer in 2009 at Turner Hall, warming up for Tortured Soul (a mellow yet tenacious three-piece band who play so hard they are kinetically bound to their instruments). After hearing Follow Me from Codebreaker’s new album The Space Chase, I’m surprised a couple of Turner Hall bricks didn’t shake loose that night. In the 20-0’s music atmosphere, Codebreaker inspires praise for their willingness to reintroduce the cryogenically frozen genre of dance/disco to all the spring chickens out there. Codebreaker is making rounds, currently breaking sound barriers in Austin, TX at SXSW playing last night on Patty’s Day. Codebreaker tramps back to the Midwest April 10th scheduled to play at Smart Bar in Chicago. Here’s an extra great Codebreaker music video via Boing Boing. Fire (Jimmy Edgar Remix)-Codebreaker Feat. Kathy Diamond from Erik West on Vimeo. A stylized historical rendering spruced up with overlays of contemporary subject matter, Vaudeville! hearkens back to the Gilded Age, just as its title self-explains. Danceworks’ current production, Vaudeville!, opened Friday night with little buzz, nearly selling out its first three performances to the contrary. The production spotlights a series of choreographed vignettes driven by a mix of turn of the century show tunes, cast member voice-overs, and original music. Although mostly a period piece, Vaudeville!’s costume design travels through the first quarter of the 20th century, with performance content themes advancing to the current decade. Vaudeville! leaves ample space for odes to the silent film era. Imaginary marionette strings jostle coordinated movements of limbs, mechanically pantomiming humorous antics behind lumbering 1910 World Fair carnival music. Human flesh morbidly transforms into disposable wooden hinged playthings spurred into action, by the character positioned as the conductor of the show. The games of diversion give way to dramas of perversity and grim resignation, which supply depth to contrast the overall levity of the show. Absurdity and spectacle contribute key aspects to the vaudeville genre. Danceworks dabbles with these expected vaudeville qualities using dance, acrobatics, kinesthetic dialog and ‘bit’ comedy as vehicles to carry the audience’s attention from vignette to vignette. The Vaudeville! production has an intentional shape provided by the genre, giving the dancers multiple dimensions in which to exist, not limited to just that of dancer. With theatrics used as much as dance, Vaudeville! almost allows you to expect verbal dialog. Quite aptly however, Vaudeville! does not betray its silent era inspiration or talent of its performers. The Danceworks space is intimate, making you an aristocrat being entertained for the evening when you are there. Vaudeville! runs from February 18 – 20 and 24 – 27, 2011.